The Mahindra Marazzo features list includes standard safety features like dual airbags, ABS with EBD, and brake assist. 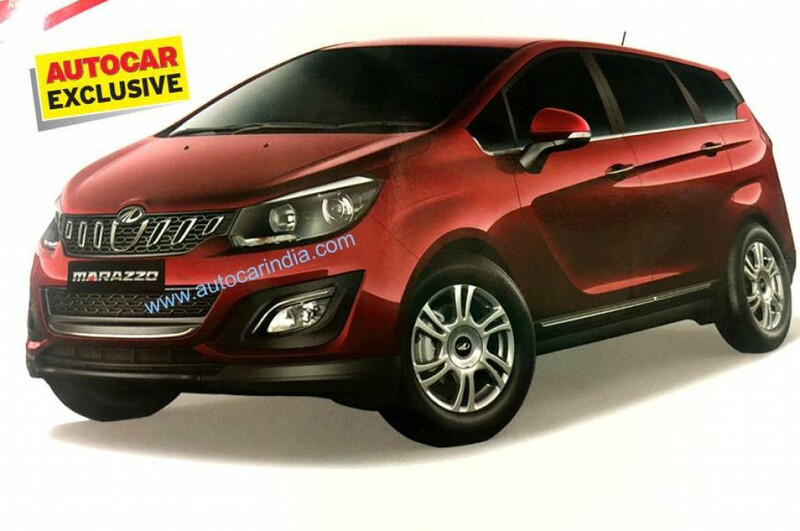 Mahindra is going to launch Marazzo MPV on September 3 and it is the first product developed by North American Technical Centre with inputs from Mahindra Research Vally (MRV). The initial batch of Marazzo has been dispatched to dealerships and some dealerships have started accepting bookings at Rs. 10,000. Today, merely days ahead of the official launch, the Mahindra Marazzo features list has leaked online. The base M2 comes with Engine Immobilizer, 16-inch steel wheels, Fabric seat upholstery, Power Windows, Central locking, 12V power outlet, USB charging point for the rear passenger, Digital clock, Manual AC controls, Roof-mounted rear AC vents and Manually adjustable wing mirrors. The M4 gets Full wheel caps, Sharkfin antenna, Driver’s seat height adjust, USB socket for the front row, USB and AUX for the rear passenger, Rear wiper and washer, Voice message system and Electrically adjustable wing mirror. The M6 comes with lots of additional features like 16 inch alloy wheels, Front and rear fog lamps, Projector headlamps with follow me home feature, Cornering lamps, Premium fabric upholstery, Adjustable lumbar support for front seats, Remote keyless entry, Conversation mirror, Illuminated passenger-side vanity mirror, Sunglass holder, Centre console with Tambor door, 7 inch touchscreen infotainment system, Navigation, Personal reminder, Steering mounted audio control and other functions, Rear parking sensors, Emergency call feature. The top end M8 is loaded with 17 inch machined alloy wheels, LED daytime running lamps, Leatherette seating upholstery, Dual USB sockets for front and rear passengers, Puddle lamps, Cooled glovebox with illumination, infotainment system with Android Auto and Apple CarPlay connectivity, Cruise control, Reverse Camera with display, Automatic climate control and Power folding mirrors and adjustable wing mirrors. The Mahindra Marazzo will be powered by 1.5 L diesel engine producing 130 hp of power and 300 Nm of torque. This engine is mated to 6-speed manual gearbox and automatic model will be introduced later. We can expect Marazzo to be priced aggressively against competitors.